FIU Online is happy to provide College and Department Administrators access to detailed reporting for their particular colleges and departments. Please click on each report to access the information. Whether you would like to understand and plan your enrollment numbers at a high level or need to know specific course details, this report will provide you with the data you seek. Understand your Trends: Use the “Course Enrollments and Capacities by Mode” tab to understand at a high level the student headcount served by your college/department, the enrollments generated broken down by 1.0 and 2.0 (available when looking at online courses) and SCHs generated. When reviewing more than one term, percent growth will be calculated for you. We provide you with the ability to drill up to the college level by hovering your mouse over the column names and clicking on the “-” sign or drilling down to the section level by clicking on the “+” sign. Review the “Course Details” tab to further drill into section level reporting and filter your list by course prefix, session, section, LMS and Instructional Designer (where applicable) as well as other filters. Plan for future growth of your Unit: Review the “Enrollment and Capacity Validator” tab to easily filter onto those courses that show a lower capacity that previous semesters or those courses that have had higher enrollments than the current capacity offered. This tool will allow you to better plan for enrollment growth and align your unit with FIU’s 2020 Goal. See a breakdown of your courses grades and pinpoint where student performance can be improved. Filter this data by academic year, term, instruction mode and instructional designer (where applicable). Analyze course performance rates for your unit courses by the different instructional modes they are offered in. 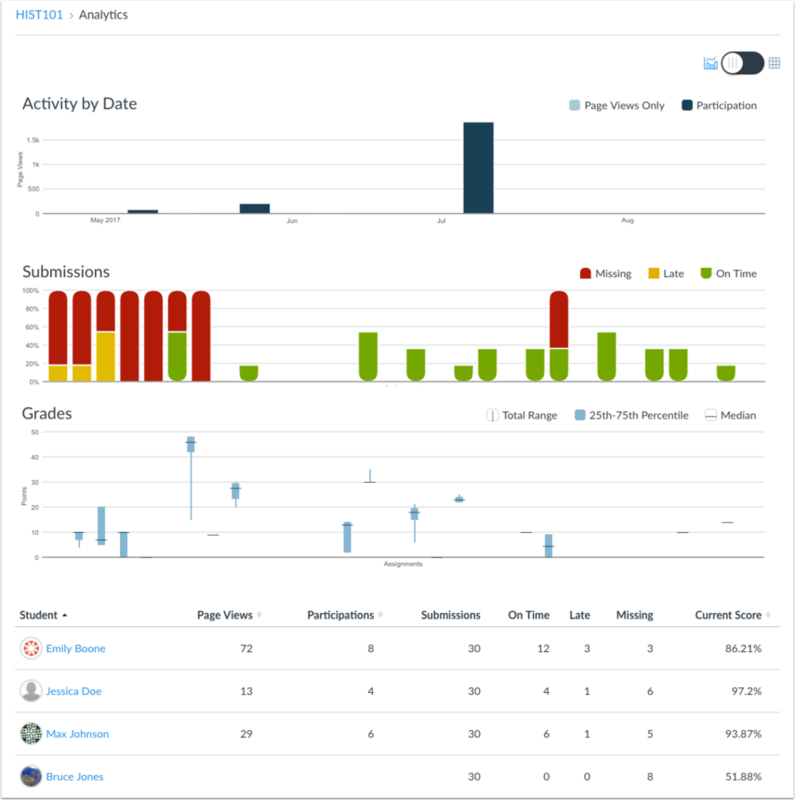 This dashboard can assist you in improving your student performance by comparing unit attributes such as department, courses, or instructors student attributes such as major and major type (Traditional face-to-face and 2.0 fully online) and key course attributes such as UCCs and Gateway courses. Get insight into how your college/department majors are trending in terms on headcount, enrollments and student credit hours growth. This dashboard provides you with an easy way to filter this information by Traditional Face-to-Face or 2.0 Fully online majors, time filters such as academic year and terms, degree filters such as the degree type and name of the program and student filters such as their new or returning student status and their residency status. Lastly, should you need to drill down to the list of students that fit your report criteria, this dashboard will provide you with the list of students you are looking at. Just click on the headcount/major you would like to drill to and follow the “View Student Details” link. Visualize your college/department enrollment and student credit hour growth in the last academic years and see how your college/department is trending towards FIU’s 2020 goal. This dashboard provides a breakdown of your current distribution for Online, Hybrid and Face-to-Face student credit hours as well as the growth you have achieved filterable by academic year, college, department, and degree type (Traditional Face-to-face or 2.0 Fully Online majors). Student Analytics will show how well a student is doing in your course. You can view when an assignmnet was due, if and when they submitted to it, and the grade given. Review Canvas Analytics Doc for instructions on how to use Course Analytics in Canvas. You may also watch Course Analytics video which will go over how to find and view course and student statistics and analytics in Canvas. In addition to the Canvas Analytics mentioned above, below are some additional logs and reports provided by Canvas which may prove useful for reviewing student activity within your course. Quiz Logs - The quiz logs can be used to view the status of your student quizzes. This feature is designed to help you investigate problems that a student may have in the quiz. Quiz logs are retained for six months. Interaction Report - This report allows you to see and evaluate the interactions between you and those enrolled in your course. You can also see which items are still ungraded per user. Access Report - You can see a summary of user participation in your course and see the total number of times a user accessed a page.